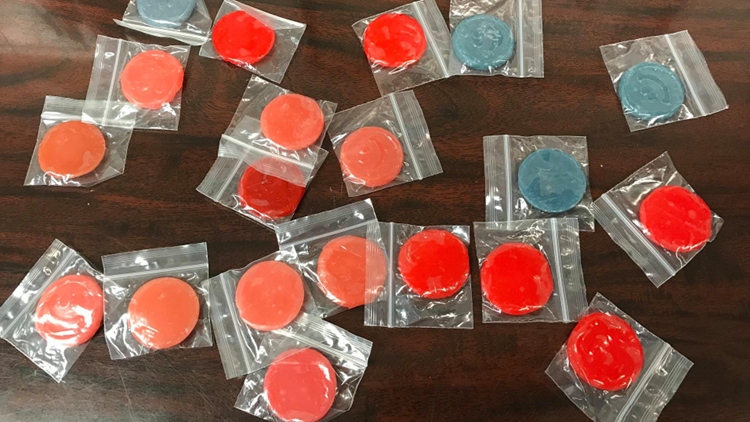 GRAY, Ga. — A Jones County adult may face charges after a middle-school student allegedly took a bag of marijuana candy to school Tuesday. Maj. Earl Humphries with the Jones County Sheriff's Office says they were notified Tuesday by administrators at Clifton Ridge Middle School. He said they believe the 12-year-old boy took about 22 pieces of candy to school and shared it with at least one other student and possibly a second. Humphries said they're investigating whether any of the students ate the candy, but so far they believe they did not. There's also no indication that any of the students became sick. He said an adult relative of the 12-year-old left the bag of candy around the house and the student brought it to school. Humphries says they believe the boy knew that the candy contained marijuana. The sheriff's office has sent the candy to the GBI crime lab to confirm that it contains marijuana, he said. Both the adult and the boy may face charges, he said. One parent who contacted 13WMAZ said she was upset that she heard about the case from her child and not from the school district. We could not reach Superintendent Chuck Gibson or Principal Charles Lundy for comment.